Toronto/Guelph outfit Del Bel recently inked a deal with Missed Connection, and they're now ready to reveal plans for their sophomore album. Led by composer Tyler Belluz and lead singer Lisa Conway, the self-described "creepy" Southern Ontario collective are returning after a hiatus that sent Conway overseas to pursue a degree. Back — and more educated than ever — the band will follow up 2011's independently released Oneiric with Del Bel, due out on February 10 via Missed Connection. A press release describes the working relationship between Belluz and Conway as one that has "created a musical spectrum" that escapes easy definition, "challenging one to classify this eerie blend of themes." In anticipation of the forthcoming record, the band recently shared a video for "The Rains," which matches their surreal, difficult-to-pigeonhole sound with solemn, sepia-toned statues and an array of other spooky figures. You can check it out below. 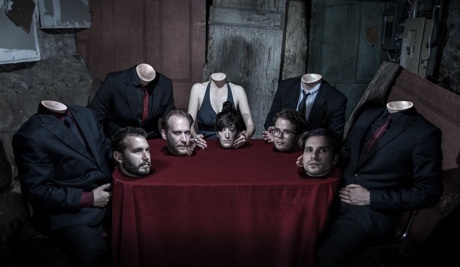 Del Bel are scheduled to perform with July Talk this Sunday (November 16) at the University of Guelph.